At Meredith Communications, we have 15 years of experience designing innovative home builder websites. In addition to designing websites, we also deliver digital marketing services for home builders including search engine optimization (SEO), paid search marketing (Google AdWords), and social media marketing. The Meredith Communications team is led by Meredith Oliver, MIRM, MCSP, a well-known and highly respected home building industry sales and marketing expert. Meredith is a fifteen-time presenter at the International Builders Show and a published author of Click Power: The Proven System Home Builders Use to Drive More Traffic, Leads, and Sales and FANtastic Marketing: Leverage Your Fan Factor, Build a Blockbuster Brand, Score New Customers, and Wipe Out The Competition. The Meredith Communications team consists of ten highly dedicated professionals who have extensive website design and digital marketing experience. Our expertise includes website design/developers, search engine optimization specialists, paid search specialists, social media specialists, professional writers, and website hosting/email specialists. We are specialists in home builder marketing with unparalleled customer service and a commitment to excellence. Our websites have a proven track record of driving more onsite traffic, converting more online visitors to leads and more internet leads to sales. 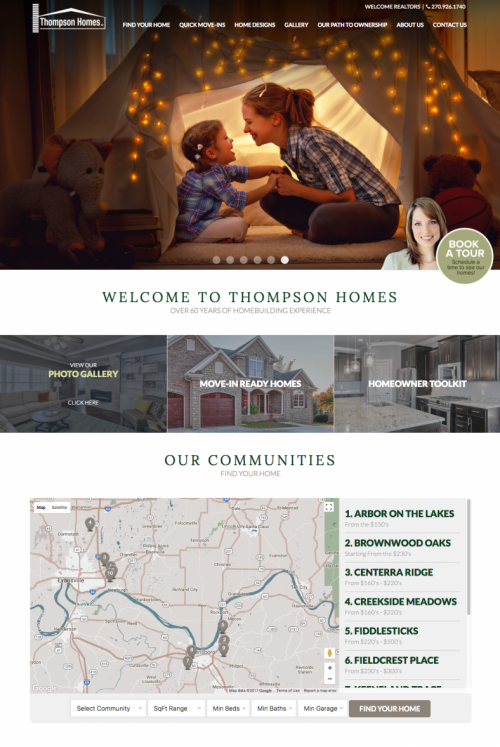 Our website design projects range from custom home builders to large regional production home builders with a large number of communities and inventory for sale. 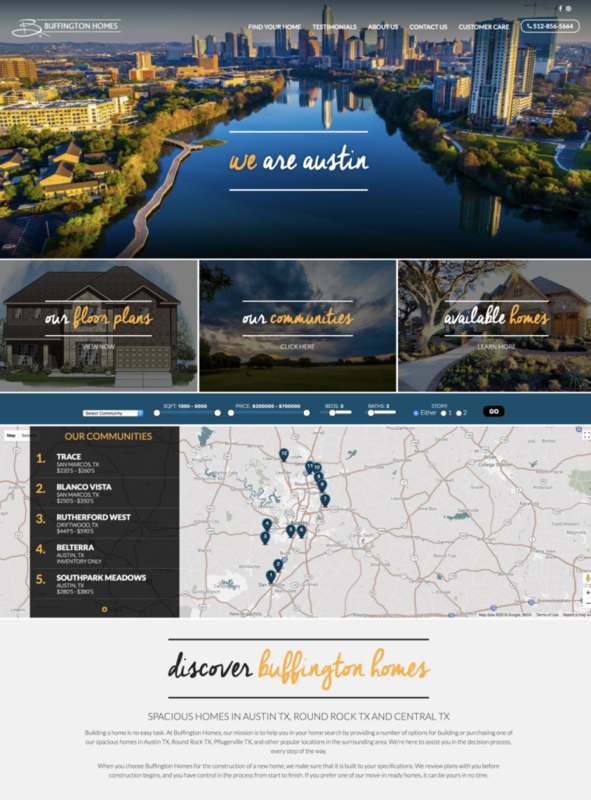 We also design websites for Realtors® who want to drive more traffic to listings and for land development companies marketing master-planned communities. Our home builder marketing expertise includes marketing to luxury home buyers, single-family home buyers, and active adults. We are a one-stop-shop! In addition to building websites, we also offer digital marketing services to drive traffic to your website and model homes. All Meredith Communications’ websites include a CMS (Content Management System), which allows you to manage your content in real time without incurring additional webmaster costs. Even the smallest project includes the CMS as a standard feature. Our CMS options range from a fully customized solution to the latest open source solution like WordPress. We determine which CMS solution is right for your project based on the amount of content, staff resources and technical skill level. Because we are experts at home builder websites, we lead the project with innovative ideas and industry best practices. You won’t waste dollars teaching us your business. We know what works! 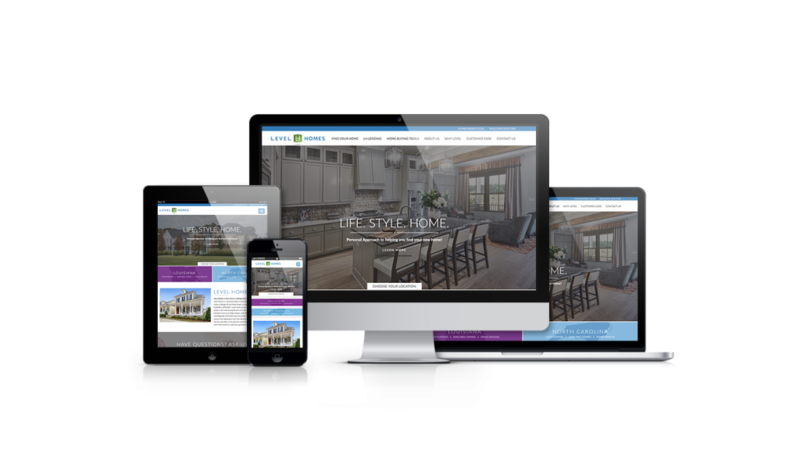 All Meredith Communications home builder websites are built using responsive design to optimize display on mobile phones and tablets. We can also provide the following functionality depending on your needs. Email, call or text Meredith Communications and find out how we can help you drive more traffic, leads and sales. We look forward to meeting you and learning about your website needs.